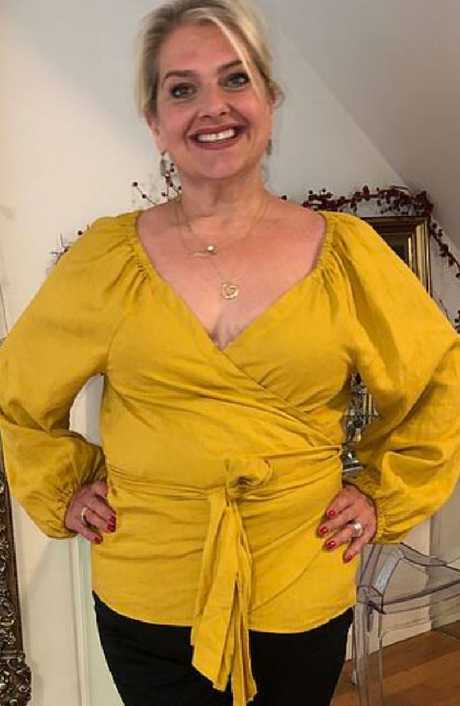 At her heaviest, the 48-year-old tipped the scales at 138.5kg, having piled on the weight over 10 years of "everything we're not supposed to eat" from cola, chips, chocolate and takeaways. 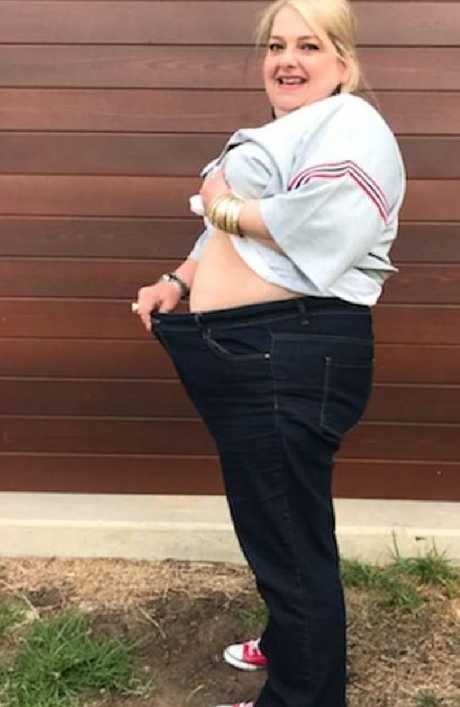 Ms Vasiliadis, an aged care worker from Sydney's south in Bexley, had lived in denial about her unhealthy lifestyle, before a confronting image forced her to lose an incredible 61kg in just nine months. Ms Vasiliadis said that to deal with life's ups and downs, she would turn to food as a source of comfort. The selfie that changed Katerina Vasiliadis’ life. "I have been happily married for 22 years - it had nothing to do with that as my husband is supportive no matter what weight I am - it was just general ups and downs in life that triggered it," she said. "I'd dig into a family-sized packet of chips, or polish off a large chocolate block as well as chugging down the remainder of a 1.5L bottle of cola." Her mornings would begin with two large cappuccinos, sweetened with four sugars and a white chocolate chip cookie. She'd have deep-fried fish and chips for lunch and anything else she felt like later for dinner. At her heaviest she weighed 138.5kg. "I isolated myself from everything emotionally. 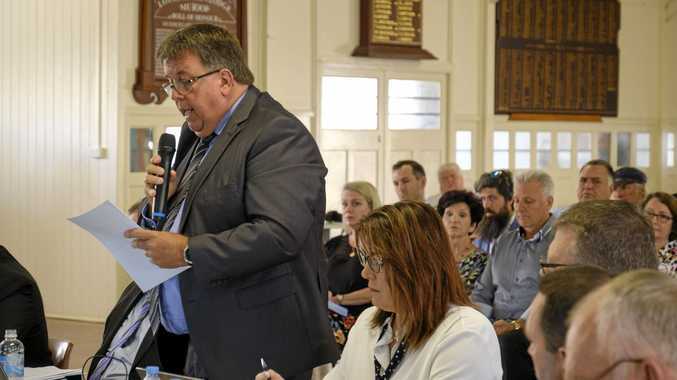 All I did was go to work and come home," Ms Vasiliadis said. 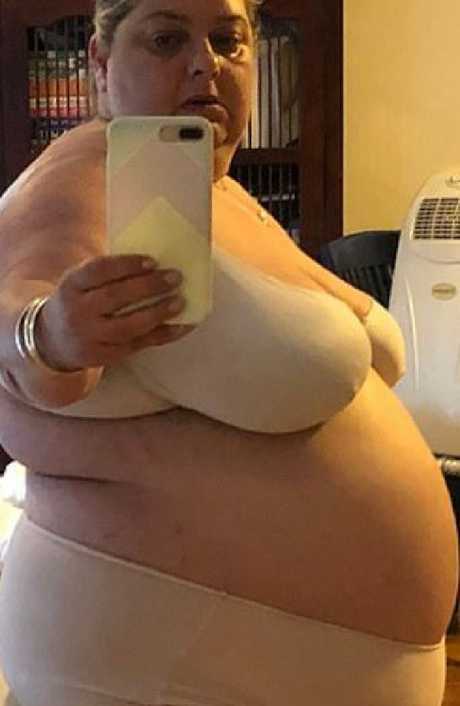 When she finally gathered the courage to take a selfie in her underwear and push through her denial, Ms Vasiliadis's life changed. "It was March 12, 2018 when I took that photo," she said. "I'll never forget that date." "It was devastating to see how I really looked." 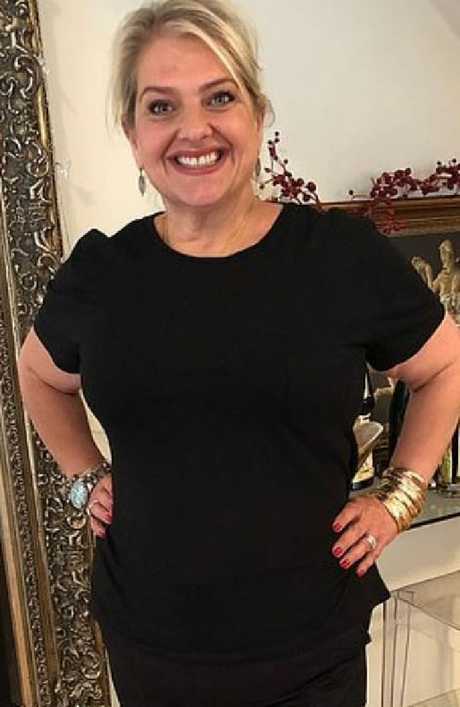 Ms Vasiliadis had previously turned to her doctor for help but even after being advised she would need to undergo a gastric sleeve and told she would have an early death if she didn't make an immediate lifestyle change, she still refused. "I couldn't afford the $22,000 price tag and I was afraid of dying on the operating table," she said. The self-described "emotional eater" continued with her bad habits which eventually prevented her from visiting family in the UK. She said a previous experience where a flight attendant had humiliated her for requesting a belt extender left her feeling afraid and anxious - and made excuses not to see her sister because of it. A gut-health program helped her got from a size 26 down to a size 12 — losing 61kgs. Ms Vasiliadis decided she no longer wanted to lead an unhappy life and turned to her best friend who'd had success with a gut-health weight-loss program designed by a dietitian. It promised between 9.5kg and 14kg weight loss in the first 40 days. With the help of the program - which offers clients specifically tailored eating plans by correcting their gut health - Ms Vasiliadis's daily diet now consists of boiled eggs with boiled chicken for breakfast, fish and vegetables for lunch and dinner is protein with salad. She went from a size 26 down to a size 12 and while she has some saggy skin, this isn't something she worries about. "I don't have much saggy skin now - I have been blessed with that - I do have some on my arms and legs, but it's nothing that Spanx and supportive underwear can't fix," she said. She is now helping mentor other women on their weight loss journey. Ms Vasiliadis's husband also went on to lose 26kg. He now weighs a happy 83kg. "I have to admit it took me only last week to look in the mirror again and say 'Hey I don't look too bad at all'," Ms Vasiliadis said. "I now go to the beach on weekends, I am more confident in my cossies and enjoy being out with family and friends. "If I can do it, anyone can, but if you need help, reach out to someone who has been there." Ms Vasiliadis now mentors other women on their weight loss journeys. With the same friend who introduced her to the program that helped her lost weight, she created the website lifestylehealthyliving.com.au which shares more information about the gut health program.